During CES (Consumer Electronics Show), the world’s biggest gathering place for all those in the business of consumer technologies, from January 8 to 11, 2019 in Las Vegas, Dassault Systèmes unveiled a survey on US consumer expectations of life in the city of 2030 conducted in partnership with independent market research firm CITE Research. Hyperloop rail, fully connected smart home systems, mobile payments and personalized preventive health plans are just a few of the disruptive technologies underway today that will become the norm in 2030 according to respondents, who were polled on their expectations for future experiences in home, travel, health and retail. Under the Thailand 4.0 economic development plan to transform Thailand into a high-income nation, the country aims to develop 100 smart cities by 2038 to improve the quality of life in urban centres. In September 2018, Dassault Systèmes signed an MOU with Thailand’s Digital Economy Promotion Agency (depa), which will include driving the agency’s ‘Digital Thailand’ strategic plan in the area of ‘smart city’ development. This survey on consumer expectations of the city of 2030 gives Dassault Systèmes valuable feedback on what to explore, develop and accelerate in future ‘smart city’ development projects with depa in Thailand. As a major participant in a world leading consumer technology exhibition such as CES and with proven track record enabling digitalization at global companies, Dassault Systèmes is at the forefront of global innovations driving consumer expectations for the future. 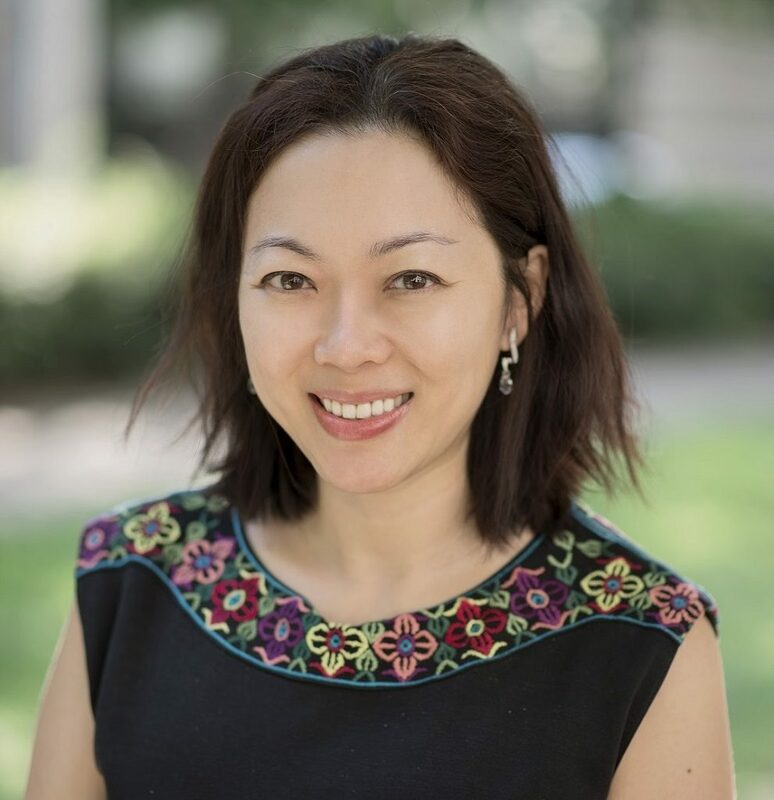 For this reason, Dassault Systèmes’ is bringing its signature 3DEXPERIENCE FORUM to Thailand in March 21, 2019, where we are privileged to host Guest-of-Honour, Dr. Pichet Durongkaveroj, Minister of Digital Economy and Society in Thailand. At the FORUM, Dassault Systèmes will showcase industry solutions on its proprietary 3DDEXPERIENCE platform, which has enabled leading-edge innovations at global companies across 12 industries, from automotive and aerospace to life sciences and natural resources. 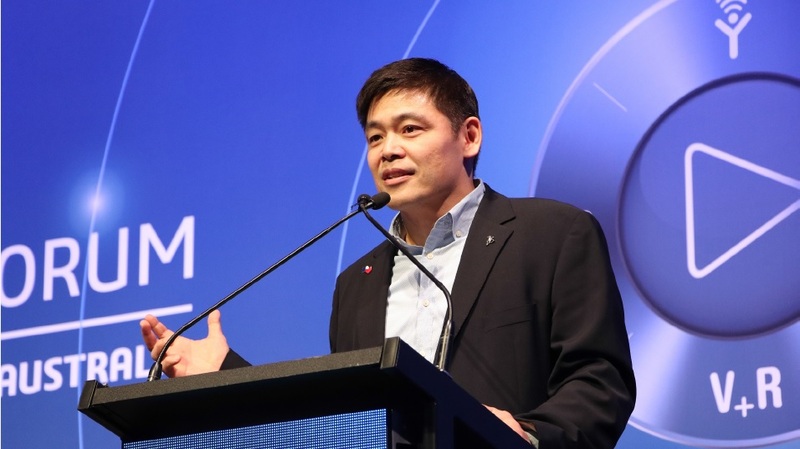 Through the 3DEXPERIENCE FORUM, Dassault Systèmes aims to inspire Thai businesses in Thailand’s key S-curve industries, such as smart electronics, agriculture, automotive, robotics, aviation and digital technology, to take on the innovation mindset and be global leaders in their respective industries. Looking for more insights into the initiatives of Thailand 4.0 and the opportunities presented to businesses? 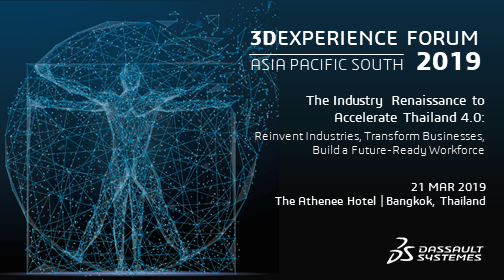 Register now for the 3DEXPERIENCE FORUM 2019 in Thailand. Manages external and internal communications programs across channels, countries and industries. Sponsored by Dassault Systèmes Asia Pacific South, the 3DEXPERIENCE Company, provides business and people with virtual universes to imagine sustainable innovations. Its world-leading solutions transform the way products are designed, produced, and supported. Dassault Systèmes’ collaborative solutions foster social innovation, expanding possibilities for the virtual world to improve the real world.